For additional information about this book, visit the website LastingLovingRelationships.com. 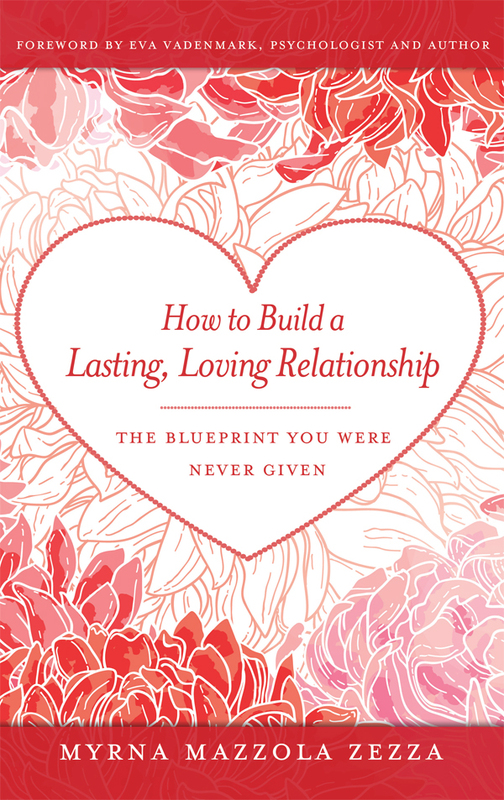 How to Build a Lasting, Loving Relationship offers useful tools, inspiring anecdotes, and specific examples that can help you achieve the relationship you’ve always wanted. It’s no great surprise to most of us—relationships aren’t easy. Although we may wish we were in a loving relationship with a significant other, at times it just seems out of our reach. We may tell ourselves we have to face facts: current statistics indicate that 50 percent of all marriages end in divorce. And that doesn’t even take into account the relationships that fail before marriage takes place—or the people who stay, for whatever reason, in an unhappy relationship. Are half (or more) of us destined to never achieve that almost universal desire—to have a lasting, loving relationship? Of course not. We only need to understand the complete picture. Relationship counselor Myrna Zezzahas developed a “blueprint” to help us do exactly that. Using the analogy of building a house, she gives us all the information we need on How to Build a Lasting, Loving Relationship. From clearing the land on which to build, to laying a strong foundation, to erecting the structure, to “Homeowners Insurance,” Myrna's clever analogies, sound principles, and insightful tools will educate and inspire you. It was the painful ending of my first marriage in 1975 that propelled me to search for answers--first though the traditional method of psychotherapy, then through spiritual study. I am fortunate that my quest for understanding led to my training as a teacher of personal and spiritual growth by Empyrean Ministries in Honolulu, Hawaii. I have added to my initial training as a counselor and teacher with classes in Psychosynthesis, Psychological Kinesiology, and A Course in Miracles. I have been counseling individuals and couples in relationship skills since 1983. For ten years I was a guest instructor for Waxthuset, a personal development center in Sweden. I have also been a guest instructor at the University of Gavle in Sweden and at the University of Hawaii's Shidler College of Business, teaching undergraduate and graduate classes in communication skills. I live in Hawaii with William G. Chung, my husband of twenty-five years, where we teach workshops together.